The prices of gold, platinum, palladium decreased in Azerbaijan on April 6, while price of silver increased, according to the data published by the country’s Central Bank. 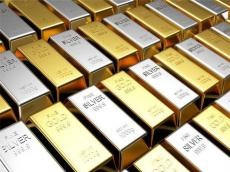 The cost of gold decreased by 0.646 manats to 2257.855 manats per troy ounce in Azerbaijan compared to the price on April 5. The cost of silver increased by 0.17 manats to 27.625 manats per ounce. The cost of platinum decreased by 13.6 manats to 1548.7 manats and the cost of palladium decreased by 18.7 manats to 1550.4 manats in the country.